It’s been quite a surprise to return to Divinity: Original Sin a year later and see how much has been tweaked and improved for this version. The full list of changes is so long that I’m surprised Larian posted it at all, but there are four key points that stuck out to me as I’ve begun my venture into Divinity’s depths once more. Specifically, the improved dialogue/story, the reworked areas, the inclusion of context appropriate tutorial tips, and the controller support. The better looking graphics are a nice improvement and there’s a definite difference when comparing the enhanced to the original, but I’d play an 8-bit RPG if the game was compelling enough. 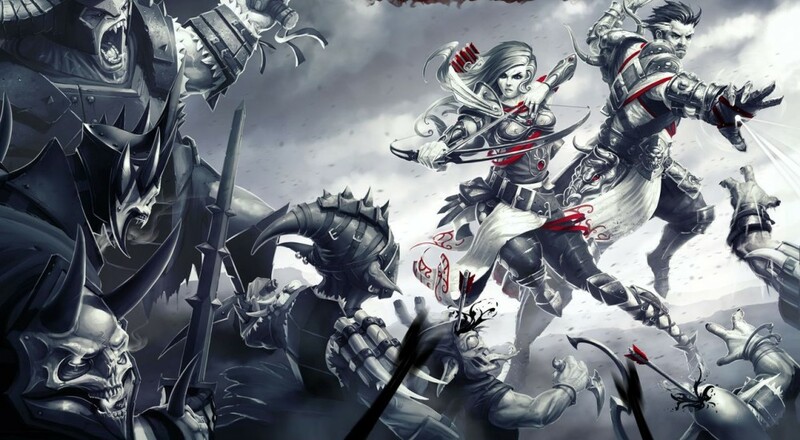 I enjoyed Divinity: Original Sin’s story when I played through it the first time; it was the exact kind of fantasy I grew up with in books, movies, and TV. It was fun with just enough mystery to keep you interested. It was not, however, always coherent. NPCs wouldn’t always react to certain in-game events or they just came and went without much reason. The Enhanced Edition has significantly improved upon this in a few ways. The first is to make all characters voiced. This can get annoying at times, such as hearing the vendors in Cyseal repeating the same couple of lines over and over to attract customers, but overall serves to give everyone a bit more depth and personality. What’s more, those spoken words will be noticeably different to anyone who’s played the game previously. Informational dialogue flows much more smoothly now and is more consistent across NPCs. The text in journals, letters, and other written word items scattered throughout the world are also more consistent and do a better job of providing you with context of what’s happening, particularly those related to specific quests. These are subtle changes and yet are the largest part of what makes the game feel brand new. The other part of that formula is the reworking of some of the game’s areas and encounters. There were times when I was making my way through a dungeon that I remembered quite well from before, only to find that things had changed. In some cases, this would be something small like adding a new room and a new group of enemies; in others, enter sections were changed and new puzzles were added. The first time this happened, I found myself scratching my head and trying to recall a solution to something that I had never encountered before. Once I realized that my memory isn’t quite as bad as I thought, I took a moment to appreciate the way all of this had been done. Many of the puzzles in the original version were a matter of finding the right person with whom to speak, or the right book to read. Some of the new puzzles, on the other hand, present you with the solution right there in the environment itself and may require the application of some of your character skills in a slightly different way. If you’ve played through the game already and are wondering if you should play it again, I feel the two aforementioned items are reason enough to do so. A good game has only been made better with these improvements, and the reworked dialogue/story ensures you’ll get to enjoy something new even on a second run. If you’re looking for more of a challenge this time around as well, the two new difficulty modes, Tactician and Honour, will see to that. Both were designed by Larian in response to watching Twitch streams and YouTube videos of players beating encounters, taking notes on the strategies (and/or exploits) used, and then reworking those encounters to make them tougher. Honour adds the extra twist of only giving you one save for the game and if your party ever wipes, then the save gets deleted.